Recently reduced price. Ready to Build? Looking for a nice quiet neighborhood? You've found it! This lot is ready for your dream home. Surrounded by custom built homes and quiet streets. Never have to worry about neighbors in the back as lot backs up to retention pond. Close to town and local stores. 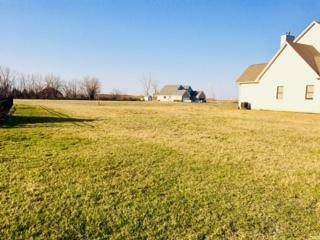 Lot is within walking distance to three schools located in the Coal City Unit 1 District. Picture yourself in a newly built home on this .25 acre lot. Find a builder and move in by end of summer!